Spring has sprung here in the Midwest and I couldn't pass up the photo opportunity in front of my Bradford Pear in full bloom. Grass turning green, daffodils blooming and trees budding is like new life for me. It excites and rejuvenates my soul, it is time to be outside and time to sew new clothes. 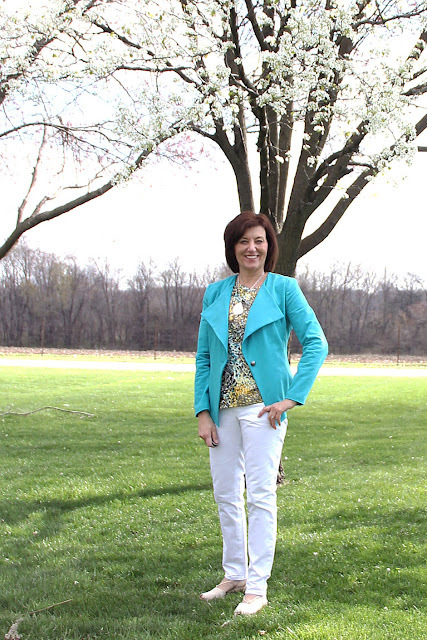 Specifically new clothes in bright fun colors. 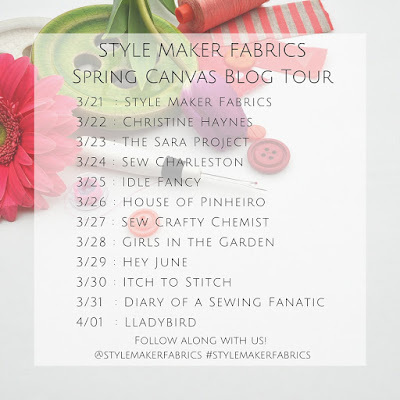 Michelle of Style Maker Fabrics asked me to be part of the Spring Canvas Blog Tour and jumped at the chance. 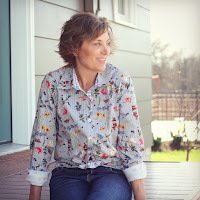 Michelle's fabrics are fabulous! This fabric is perfect for a jacket, it sews and presses beautifully, plus I just love a brushed twill. It is fun to feel the texture! 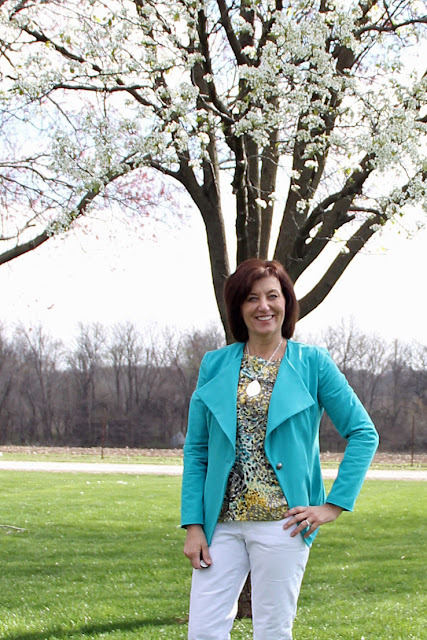 Aqua is a good color for any season but it just has a spring feel, don't you think? I was a bit nervous about using this Burda 6661 pattern, it is a "Burda Young" and I am NOT in the young category - age at least - young at heart, yes that is me. So with the young part in mind, I made a muslin. The fit was good, I made a 14 for the muslin, and went down to a 12 at the waist and hips. The muslin also showed the length of the jacket and sleeves were just fine. I used a silver button for the front but I don't think I will button the jacket much. 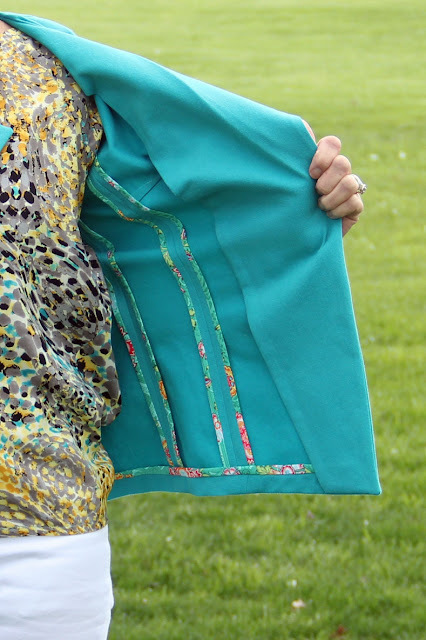 This jacket took me one evening and one long Saturday to make. The construction wasn't that difficult but let me take off this jacket and you can see what took the time. The jacket is unlined but I wanted it to be pretty on the inside, too. Hong Kong Seam Finish to rescue! Isn't it so fun? I think so but it is time consuming, for each seam, it is another 4 more stitching lines. The extra work is worth it and I love the fun pop of color. I finished the hem of the sleeves with same floral, too. I think with a solid top, it would be fun to cuff the sleeves and show off the finish. One thing I did notice with the brushed twill and the seam finish, was a bit of a mark on the right side. 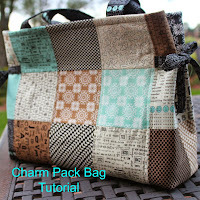 To prevent this, use can use a seam stick which presses open seams without leaving iron imprints. We are doing a big remodel at our house (starting today!) and have packed up several rooms - kitchen and sewing room to name two. Well, I am sewing in a very small mechanical room now and have just the very essentials. I remember reading that paper will work for this, so I cut some strips of paper and inserted between the seam allowance and garment. The paper strips and a press cloth worked perfectly to prevent the imprints. Here is a good article about pressing. I wanted a top to go with my new blouse and Michelle suggested Rayon Challis Abstract Brushstroke to match my Jade Twill. 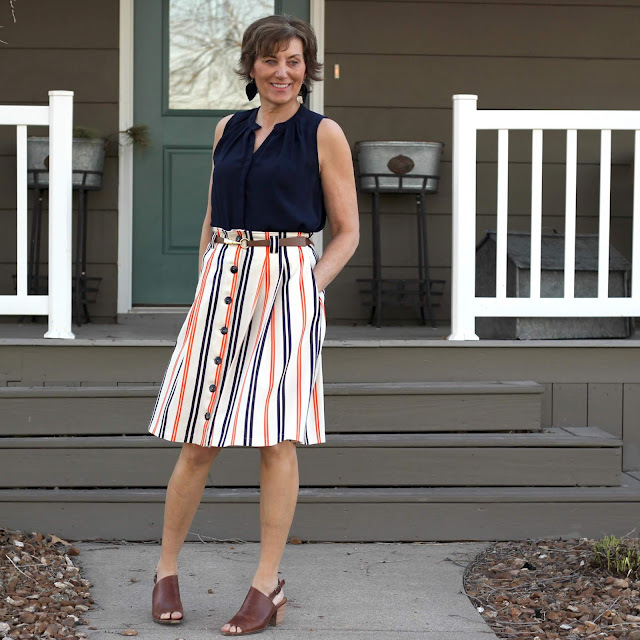 Michelle had a perfect suggestion and that is just one of the great things about Style Makers Fabric, send an email to Michelle. Ask away about a fabric, or coordinating fabric and she always answers promptly and has great suggestions. I love her customer service. 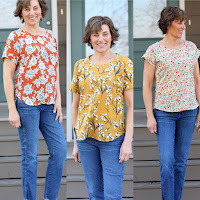 Now to the top, my plan was the Sutton Blouse but yes, it is packed away but McCall's 7093 was in my small pattern stash and it is a great look. It has a subtle high-low hem and great shaping. 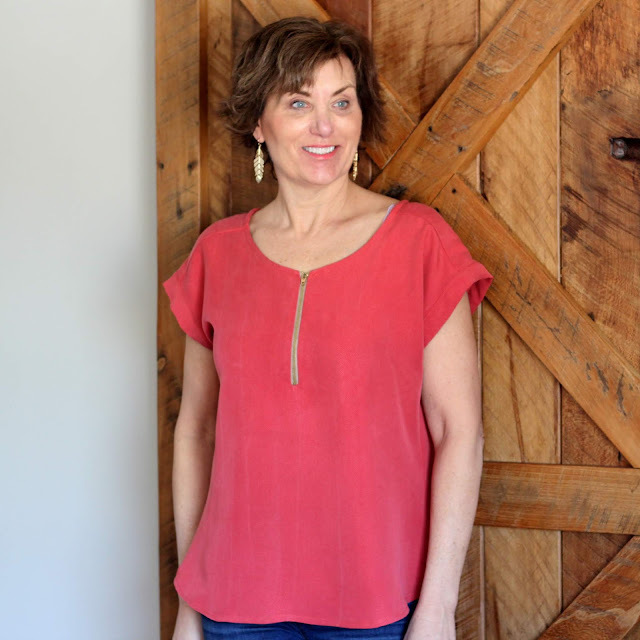 The challis is the perfect weight and drape for this type of shirt and I love the feel of the fabric. 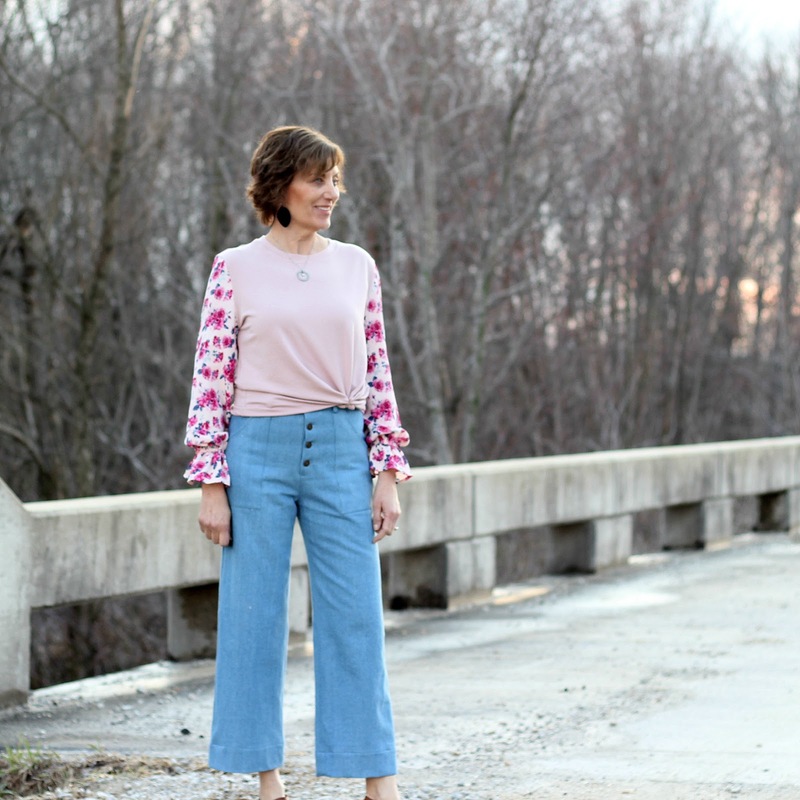 As much as I like a high-low hem, I don't like how the back hangs out of this jacket, so I tucked in the back of the shirt and the looks was much better. Need a quick sew? This McCall's top took me about 1.5 hours from cutting to finish. 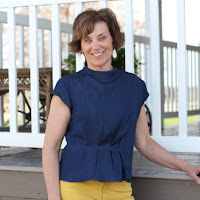 Style Maker Fabrics latest trends is the place to look for your spring sewing needs, which I did and 5 new fabrics were delivered this week to my doorstep. 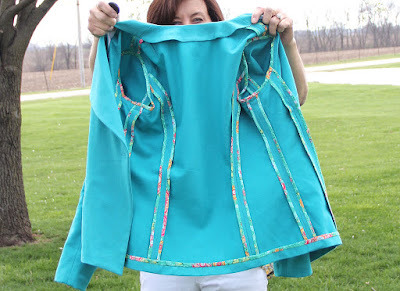 Head over to Hey June on the 29th and see what she Adrianna has made from her fabulous fabric. Now to put you in the spring mood, a couple of photos, with the beautiful blooms of my Bradford Pear. Love both pieces. They do look so springy. 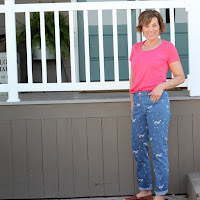 Love your makes, especially the STYLE MAKER FABRIC for the shirt....very nice print....totally would have missed it, if not for your make! And yes your Bradford pear is beautiful! Pretty color! Love the Hong Kong seam finish - really make an unlined jacket look professional. Thanks, Joen, it took forever for the HK finish was worth it. Our Bradford Pear blooms are all gone. Love your spring look so I'm going to use it for an inspiration template! Thanks, Faye, sometimes our Bradford's get a frost and hurt them but not this year. Your pieces are nice and so spring like but I really like the hong kong finish! Thanks, Carolyn, sometimes the extras are so worth it. Love the colors of both pieces. Yes, they yell out "Spring!!!" That Hong Kong finish is lovely! Both items say Spring & smiles . Love them both - great job on the Hong Kong finish . May I ask if you thought of lining just the sleeves for easy on & off or does the fabric make that easy ? 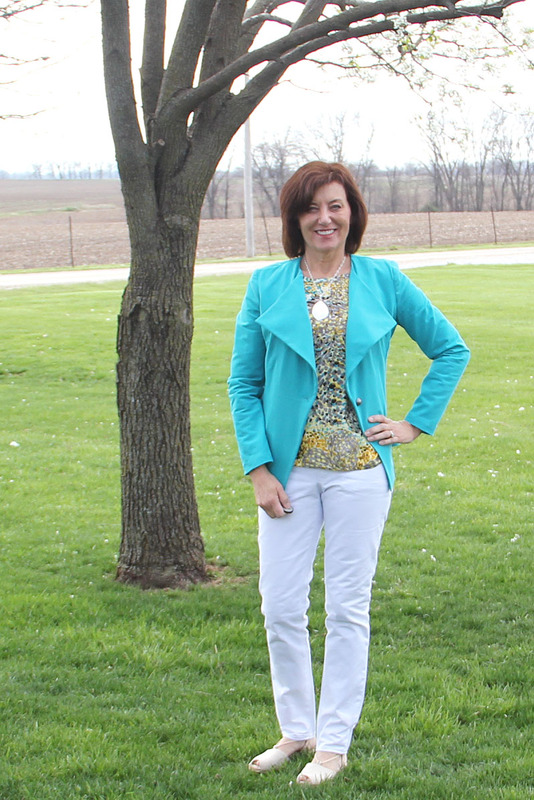 Perfect spring jacket! Gorgeous colour. I love them! Really good colour combo and the trees are beautiful! I really miss your podcast Lori! 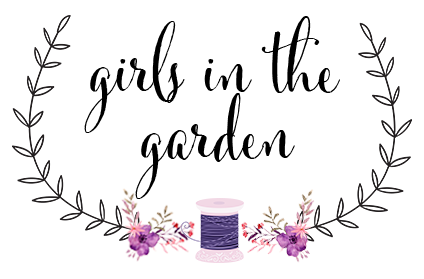 It's still the best sewing podcast I have ever come across.